When it comes to erythrodermic psoriasis, it’s an inflammatory form of psoriasis which generally affects the majority of the body surface. 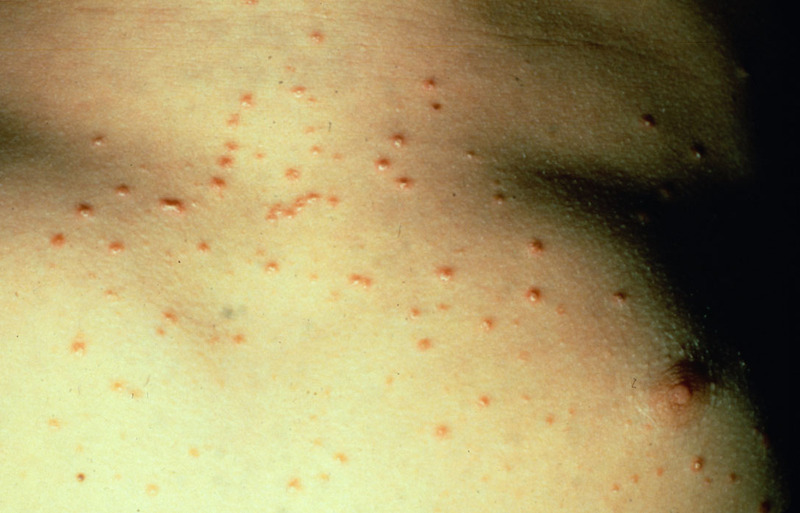 In some cases, it can occur in association with pustular psoriasis. Compared to other forms of the disease, this is a more severe type and it’s very rare, occurring at least once during the individual’s lifetime. In total, 3% of individuals who have psoriasis will be affected by it and it generally appears on individuals who suffer from unstable plaque psoriasis. What this means is that the lesions aren’t clearly defined and this form is characterized by exfoliation, fiery and widespread redness of the skin. In most cases, it’s also accompanied by severe pain and itching. The bodily temperature goes down and up, especially on very cold or hot days. An increase in heart rate. The skin looks like it’s been burned. Instead of occurring in smaller scales, exfoliation occurs in larger “sheets”. Severe shedding of skin and redness over a large area of the body. This form of psoriasis is actually debilitating for many people and it basically causes an imbalance in the body’s chemistry. As a result, the affected individuals will suffer from fluid and protein loss which will eventually lead to various diseases. One of them is edema which is described by swelling from fluid retention and it will generally develop around the ankles along with infection. Because the body will generally be unable to maintain its temperature, the affected person will suffer from shivering episodes. In the more severe causes, this aggressive form of psoriasis may also bring on congestive heart failure and pneumonia. Use of cortisone or other systemic steroids. Drug induced, allergic rashes which bring on the Koebner phenomenon. Sudden withdrawal of systemic treatment. Anemia (loss of folate, Vitamin B12 and iron). In what regards prognosis, it can vary a lot. For instance, for those suffering from extensive and pre-existing psoriasis, treatment is tolerated quite well and the prognosis is great. On the other hand, the course will generally be prolonged with unstable psoriasis, because patients usually deal with relapses and there’s also a certain chance of dying from it. It’s important for those suffering from erythrodermic psoriasis to seek medical help as soon as they notice the first symptoms occurring. Initially, they will need to use moisturizers and medium potency topical steroids combined with bed rest, oatmeal baths and wet dressings. Some people may also be prescribed antibiotics. When suffering from erythrodermic psoriasis, the main goal is to restore and maintain fluids in the body. There are a few other treatment options people may want to consider and they will be discussed below. Combination treatments: These types of treatments are required frequently, which means that people will need to use 1 or 2 systemic medications and topical products as well. Until the redness of the skin has gone down completely, no doctor will prescribe PUVA (ultra violet light and Psoralen, which is a light sensitizing drug) or UVB (ultraviolet light B). TNF-alpha blocking biologics: Examples such as Simponi, Remicade, Humira and Enbrel will be recommended and the way they work is by targeting a type of immune cell called the T cell which is the one responsible for causing inflammation in psoriatic arthritis and psoriasis. These medications are very effective and that is why most doctors will prescribe them. Systemic medications: These types of medications are the most effective treatment for those suffering from erythrodermic psoriasis and they’re generally used for bringing severe cases under control. To name some of them, they include cyclosporine, acitretin and methotrexate. However, people need to be careful when using these medications and taper off them slowly. A flare of psoriasis can be triggered if people stop taking steroids suddenly. The psoriasis will generally revert to the way it looked before the flare once the erythrodermic psoriasis flare has passed. Because this is a very painful condition, most medical professionals will prescribe patients some powerful pain medications. If appropriate, medication for sleep, anxiety and itch may also be prescribed. Currently there are no specific measures that people should take other than avoiding precipitants identified above and optimizing management of any preexisting psoriasis. For those living in warmer climate areas, it’s very important to avoid getting exposed to the sun as much as possible. Erythrodermic psoriasis is a very painful skin disease and it must be taken very seriously from the very first symptoms. The longer people wait, the more they’ll have to suffer in the long run and that is why it’s best if they get in touch with their healthcare provider as soon as possible. There are many types of medications which can help sufferers, so they can eventually lead a normal life without experiencing pain or trouble sleeping.